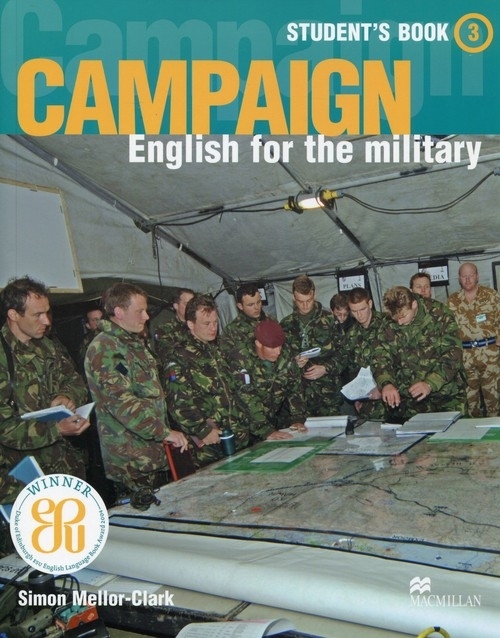 CAMPAIGN iss designed to meet English language needs of military personnel engaged in all operations, including peacekeeping, humanitarian assistance and training excercises. CAMPAIGN combines the rigorous language analysis of a good English for Specific Purposes cource with the teachability of a good General English course. It deals with real issues that concern servicemen and women. Units range from "How tanks fight" to "Operation orders" to "Aircraft carriers". There are topics and texts from variety of international military contexts, including the US, the UK, NATO and the UN. Throughout, learning of key specialised military lexis goes hand in hand with the development of general language competence through systematic skills practice and a carefully planned grammar syllabus.